Providing a link between the past with the 300 year old waterwheel, and the future with the production of green energy, Aberdulais Falls is also a local beauty spot and offers plenty for families to see and do. Aberdulais Falls is first and foremost one of the most scenic and famous waterfalls in South Wales. Situated conveniently right next to the Dulais Rock Pub in the heart of the village, the site is in a narrow gorge on the River Dulais. 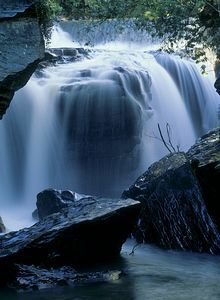 The spectacular falls make the ideal start for walks in the area or as part of a visit to the Vale of Neath. years. In 1584 a copper smelting works was established here by Ulrich Frosse on behalf of the Mines Royal. In later times, the Watermill which was onsite in 1796 and the magnificent waterfalls became the inspiration for the famous landscape painting by J.M.W. Turner which now hangs at the National Library of Wales in Aberystwyth. In the 1800s a Tinplate Works was established and some of the industrial remains can still be seen beside the rushing river, along with an old quarry and a former flour mill. An interpretive trail around the site points out the various historical and industrial remains. The site still operates the largest waterwheel in Europe, which is driven by the falls to generate electricity and supply the national grid. The modern day Turbine House has an interactive computer, spectacular views of the falls from the viewing window and various educational displays. Environmentalist will be pleased to see the fish pass which allows salmon to bypass the waterwheel and reach the higher levels of the river to spawn. 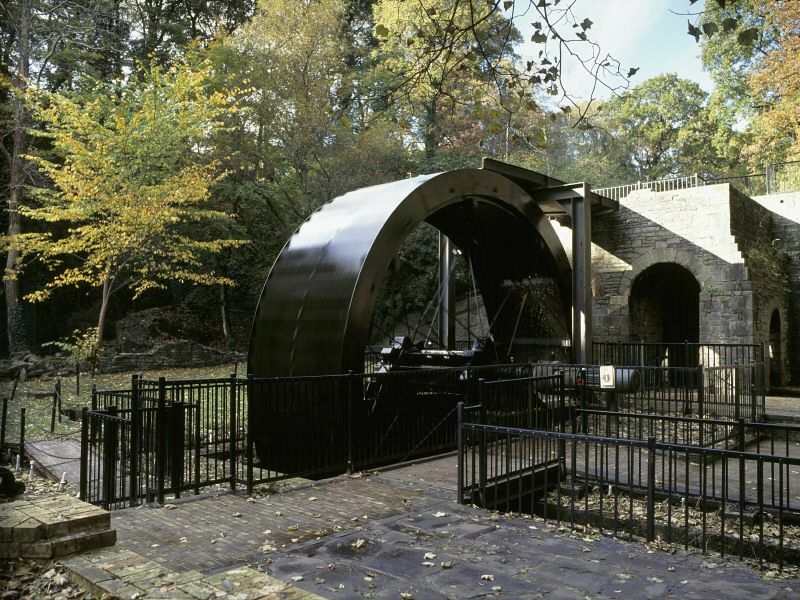 Alongside the huge waterwheel is a modern Visitor and Tourist Information Centre with exhibits explaining the latest design ideas used in this eco-friendly building. It is energy-sustainable, using power from renewable energy sources as well as from the hydro-electric power on-site to run the centre. The centre provides audio tours, video presentations and a Quiz Trail for children. 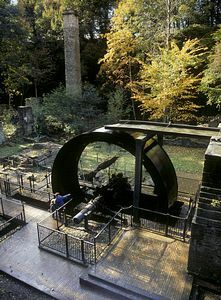 The film "Reflections on Tin" shows how Aberdulais Falls have been used to produce tin for over 400 years. The complex also has an ever-popular National Trust tearoom and shop in the old Victorian schoolroom. This is a great opportunity to enjoy Welsh cakes, bara brith and other local delicacies over a cup of tea. Veolia X63 Swansea-Brecon, Silverline X55 Swansea-Aberdare, First 154 from Neath, 158 Banwen and X58 from Neath bust staion. NCN47 passes property. Access near B&Q Neath to Neath Canal towpath and Aberdulais Canal Basin View local cycle routes on the National Cycle Network website. On A4109, 3 miles north east of Neath. 4 miles from M4 exit 43 at Llandarcy, take A465 signposted Vale of Neath. Sat Nav: Follow brown signs, not Sat Nav.